Thanks to its many freestone towers glowing golden in the sun, Prague got its beautiful nickname “Golden City”. When visiting the Czech’ capital located in Bohemia, make sure to cast a glance at this spectacular display from above, for example from Letná Park or Prague Castle. The latter is even listed in the Guinness Book of Records as the world’s largest ancient castle. On an area of almost 70,000 square meters, you can’t only marvel at the massive palaces and ecclesiastical buildings of various architectural styles, but also visit some art shops and small galleries. Prague Castle is listed in the Guiness Book of Records. From Prague Castle in the Little Quarter, one of the ways to the Old Town leads over the famous Charles Bridge, the city’s oldest bridge dating back to the 14th century. The bridge is lined with 30 giant stone sculptures including apostles, martyrs, and patron saints, but also sinners and infidels as well as lions, a deer, and a dog. Prague’s Old Town is mainly concentrated around one major square with historical buildings like the Estates Theatre and the gothic Church of Our Lady before Týn. On the outside of the south wall of the Old Town Hall, you’ll find the very famous, oldest operating astronomical clock in the world, built in 1410. Next to the historical sites, there are many shops, restaurants, and cafés for a break from walking around the city. Prague offers one of Europe's most lively nightlife. 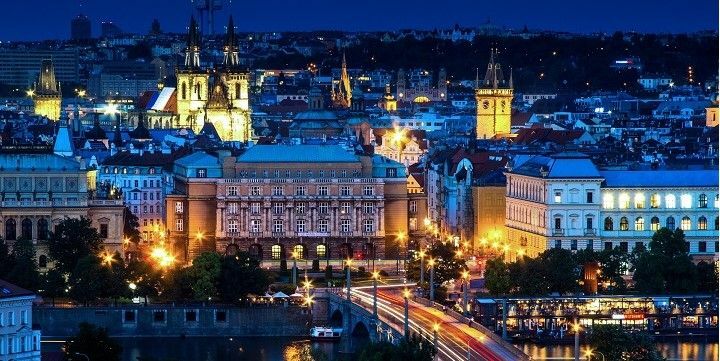 At night, Prague offers one of Europe’s most lively nightlife. No matter, if you want to enjoy some Czech beer in a bar or dance the night away in one of the many clubs, you’ll find it in Prague. A wide range of strip clubs and Pub Crawls around the city, also make Prague a popular destination for bachelor parties. 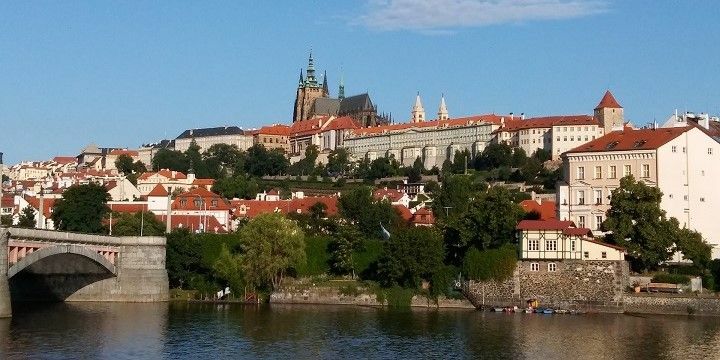 If NextStop24 helped you to choose your next travel destination, we'd be very grateful if you’d search for your accommodation and things to do in Prague through these links. They're affiliate links, which means that we will receive a small commission for every booking made through them. There are no extra costs for you; you'll simply be helping to keep NextStop24 running. Thanks! Prague isn’t known as the ‘City of a Hundred Spires’ for nothing. For a different perspective of this beautiful city, make sure to climb up as many of the dozens of towers in Prague. However with over 300-step spiral staircases these are not for the faint-hearted, but the stunning views are definitely worth it!